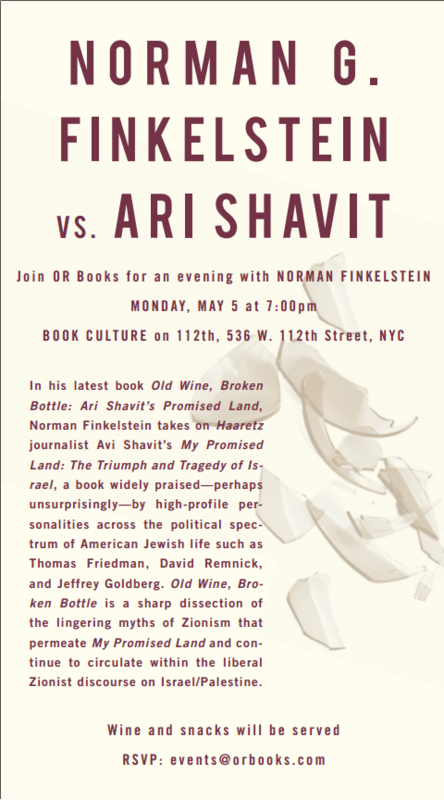 You’re invited to Norman Finkelstein’s book launch party! 1) What inspired you to start Louffa Press and begin putting out chapbooks? I thought it was time to give back to the community, so I started Louffa Press to provide a venue for writing I felt needed to be read. For years I had been publishing chapbooks in small batches and noticed that I gained a small but appreciative readership through those efforts. Gertrude Stein was originally a self-publisher and as she is a major hero, I thought I could do worse than to follow her initial steps. Once I gained proficiency on the letterpress I wanted to use that skill to further create not only an opportunity for writers of innovative fiction and poetry, but also to cultivate an outlet in a handmade, collectible, possibly even beautiful form. Design skills I acquired working in the internet boom I utilized for making the covers in digital form before going to letterpress, and it just all came together. The first chapbook I made was by David Hoenigman, and I had the idea I should add a color photograph to the cover so that not only would it be letterpressed, but have another textural and full-color glossy element that contrasted nicely with the monochrome boldness matte of letterpress. So I was partly inspired by a motivation to work on more selfless terms outside my own writing and performing practices. When I’m not writing another section in my novel or performing texts with a sound-art approach, I get satisfaction from assembling visual projects like these chapbooks. That is to say I like the fact it removes the focus from myself and highlights the work of other writers and poets, acknowledging that I am part of something greater. I am dedicated to Louffa Press as a project centered around my role as curator and designer, rather than as writer. Strangely enough, although the focus is so different than working with letters, when I am blocked in my own writing, I can shift my energies to Louffa, and in the same way the REM state is necessary for a good night’s rest — it replenishes my sense of well being sufficiently to release the muse and continue in pursuing my own obsession with language. 2) Say a little bit about your setup. Where do you make these books? Is there a space devoted to Louffa Press? I have had a great deal of support in terms of technical expertize from The Arm Letterpress in Brooklyn, and this year I will be working with The Center for Book Arts to print chapbooks, which I am excited about, as the CBA has been such a huge part of the artist book community in the New York since its inception in the 1970’s. I have changed from when I was in Japan, screenprinting at home with a DIY setup, basically using a lamp and doing the emulsion for silkscreen in the bathtub, then printing on the kitchen table or using a friend’s studio to do the squeegeeing. There is no such thing as doing this in a vacuum, so I’m really appreciative of everyone who is involved with the process, from the plate-makers to the authors and cover artists, as the case may be. 3) Could you walk us through the process of making one of these books? You use letterpress printing on the covers and some of the interior pages. Can you describe what exactly that is for anyone who might not be familiar with it? Sure. The letterpress I use is a flatbed, hand-cranked relief printing press with a motor-run cylinder which can be used with moveable type, and also with polymer plates. Moveable type in Europe took off around the 15th century. The Chinese were the first to have moveable type even earlier, but the letterpress came into being in the time of Gutenberg, and now they come equipped with motors that run the cylinders. The moveable type was a natural step-up from woodblock printing, which was dominant until moveable type came into being. The great advantage of moveable type is that you have individual letters that are mobile, whereas with the woodblock method it is a page by page endeavor. Moveable type can be lead-based but also woodtype, not to be confused with woodblock printing. But letterpress technology is complimented now by the use of polymer plates, which is what I typically use for the chapbook covers. For some of the covers I do use woodtype, especially if I want it to have a big impact with the typeface highlighted as the major design feature. So it works like this — the moveable type is composed in reverse and then locked into what is called a chase on the horizontal bed of the press. Once it is secured I might run a test without the ink to see the positioning is correctly placed on the page where I want it. This requires inserting the paper and cranking the very heavy rollers so the paper is squeezed between the rollers and the type, and from the tremendous weight of the rollers, a relief impression is made on the paper, which should be thick enough to be noticeable without the ink. Once I am certain of the precision of placement, I take a rubber-based ink and spread that on the big steel roller as evenly as possible with a knife. Before electricity this was also done by hand, but now we simply flip a switch and the top steel and bottom rubber rollers will rotate against each other, spreading the ink all the way down to the cylinder underneath. Each page for printing is then fed and handcranked through so that when it passes over the inked up plates or type, it receives the impression from the physical weight of the steel, and the ink from the plate or type underneath. The rollers work in tandem to keep the plate or type inked up, but even then I occasionally will have to adjust the amount of ink by adding, spreading, and testing again. After I finish, the cleaning is done by lifting off the moveable rollers and washing out the ink with spirits. The whole process is joyful for me, and even the smell of the ink and the physical cranking gives me a kind of warm feeling. I might add another handmade element such as a hidden handwritten icon or a screenprinted design. Or in the case of the Steve Katz broadside, once the letterpress was done I numbered the copies by hand, he signed them, and they were ready for release. If it is a chapbook, which is usually the case, I need to assemble the parts through collating (ordering the pages in booklet form), scoring (making a fine crease down the center), folding and binding, which is usually done with a long stapler. Most of the chapbooks are editions of 100. I will number and catalogue them, and then they are ready for distribution. 4) Tell us a little bit about design. Each of your chapbooks incorporates different elements. Some are stapled, some are sewn, some have letterpressed covers, some are fully letterpressed. One even involves poems typed onto gold and silver foil with a ribbonless typewriter so that the letters appear in relief. To what extent does the content dictate the design elements of each book? I try to make each chapbook its own individual thing. That said, there are some techniques I like to repeat, like the photograph and letterpress combined covers which I did for both the Wiggin chapbook and the Hoenigman chapbook from 2010. 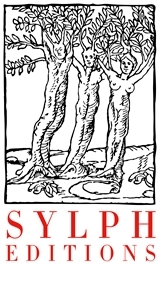 The written language of the chapbook is related to the design about half the time, and the other half of the time, the design element seems to suggest itself without a palpable or recognizable connection to the content. Here are some concrete examples. The “X” in the David X Wiggin chapbook I used in the cover in a repeated motif because I think “X” is such a bold and robust letter, and it offers a semiotic playfulness inherent in its form; it is a letter but it is also a word, and also suggests several idiomatic usages. For the Mike Topp chapbook, it was more a case of having been influenced by artist movements like Futurism and Bauhaus, and trying to compose a visual ode, coupled with a feeling for what is possible or what might communicate well visually through the letterpress. I remember having conversations with Mike to the effect that he is influenced by visual art, especially pop art more so than literature, and so I may have taken his overall interest in modern art into consideration when thinking of a design appropriate for his work. But again, the relationship is not a straight line, as you can see that the cover for Mike Topp’s Fugitive Pope has little resemblance to anything pop art, in that it differs from a Warhol or Oldenberg influenced piece. As for the typewritten piece, it was a matter of convenience and experimentation in the best sense, and also a fondness for Cage, Ono, Higgins, Young, etc, and those scores that were composed largely on typewriters. The typewriter I had at that time had an old ribbon, and as I was waiting for the shipment for the new ribbon to arrive, I began to experiment on using the machine as a tool for relief printing without the ribbon. It happens that I found this paper with a fragile extra layer that responded to the hammers on the typewriter, and I liked the fact the reader has to turn the page to get the correct lighting in order to read it. It was also amusing to think of the double meaning of the phrase, “difficult reading” in this case applied both to content and physical form. With Jeff Grunthaner’s The Trrouble Wwith Suundayys, the design was more a compliment to the text between the pages and a natural extension of the culling and selecting I had done from the work he handed over. He sent me several poems that I had to reposition after resizing and do more experimenting with than usual because I wanted the form to be true to his original formatting, which was nothing like conventional block text, resembling at times a playful, pathological abortion of L=A=N=G=U=A=G=E poetry reformulated for free meta-verse and truncated storytelling. 5) How do you go about reaching out to poets or writers whose work you want to collect in a chapbook? Are they ever involved in the design process? To answer the first question, Louffa Press is open for submissions on a rolling basis from May to September every year, for both the online E-asy Journal, Scrubbadubdub, which is part of the Louffa Press website, and also for chapbook submissions. Authors find me but I also seek them out both here in New York and everywhere else. With a lot of writers, I will approach them with a printing idea, they send me the text and I work with the form it reaches me. The authors I have worked with are more involved in updating me with newer versions of the texts if need be, and from my experience they are happy to leave the design to Louffa Press. I am open to the possibility an author may have both a chapbook and design in mind, but that has yet to happen. I do maintain transparency with authors on how the design is progressing, and if someone absolutely hates the initial design, I am responsive to that. All the ideas for design begin with my initial sketch and I approach an author with a complete idea that may need some minor trimming, or color options and the like. I am open to collaboration, though. With the Stacey Levine chapbook, the cover art was made by artist Beatriz Albuquerque, so that was a type of collaboration. I took her drawing file and sculpted the text around it, which was particularly thrilling to do and a simple collaboration because she works quickly and the results were immediately striking. It was easy to fit the type in with the movement of lines her drawing suggested. 6) How do you fund Louffa Press? Do sales pay for the printing of the books or do you seek outside funding? Sales and fundraising both help cover the costs of printing the books, however the working hours are a labor of love. Any Louffa Press chapbook requires a lot of hours behind the scenes so that art appreciators can hold one of these chapbooks in their hands. Some Louffa Press projects have been funded through modest but successful online fundraising campaigns and by generous private donors, but the funding covers only the cost of materials. I have yet to ask for an amount that would include all the related expenses including labor for editing and design, screenprinting, updating the website, holding events, etc. I hope in the future to have the ability to pay artists and writers. All the authors and artists receive free contributor’s copies following the print run, and I am happy to say that will continue into the foreseeable future.